The EMCDDA-IPA6 – Stepwise integration of the IPA beneficiaries in the activities of the European Monitoring Centre for Drugs and Drug Addiction (EMCDDA) and the Reitox network – comprises 6 beneficiary countries: Albania, Bosnia–Herzegovina, North Macedonia, Kosovo*, Montenegro and Serbia. For further information on the description of the project please read the technical proposal and its annex. The overall objective is to ensure that IPA II beneficiaries are able to participate effectively in the activities of the European Monitoring Centre for Drugs and Drug Addiction (EMCDDA) and the Reitox network upon accession. The specific objective of the project is to support the approximation to and adoption of the EU acquis in the IPA II beneficiaries in the area of Rule of Law and in particular in the drug information field. * This designation is without prejudice to positions on status, and is in line with UNSCR 1244 and the ICJ Opinion on the Kosovo declaration of independence. This applies to all mentions of Kosovo in this document. Following a request of the IPA6 project beneficiaries, the EMCDDA organised a training on communication issues in April 2019, focusing on how to improve skills in formulation of drug-related messages within the partner institutions. The training involved the collaboration of the EMCDDA Reitox and external partners and Communication unit and of an external expert form the University of Riga. The audience was composed by 8 health and communication professionals representing the EMCDDA-IPA6 correspondents and their hosting institutions in four beneficiary countries. The Third EMCDDA–IPA6 steering committee meeting took place in Brussels on 14 February. It counted with the participation of two representatives from each of the six beneficiary countries (a designated project National Correspondent and a representative from the permanent mission). The objective of the last Steering committee meeting of the EMCDDA–IPA6 project was to reflect together with the beneficiary countries and to exchange views on the technical proposal of the next EMCDDA-IPA7 project, aiming to start on 1 July 2019. The National Reitox Academy is organised by the EMCDDA and the Ministry of Health of Serbia. The main objectives of this seminar are to clarify what a New Psychoactive Substance (NPS) is, its classification and health effects; to discuss the situation of NPS in Europe and in the country; and to improve knowledge on demand and harm reduction responses to the NPS. Around 40 participants from various health services are expected to attend the academy. On 19 December, the Deputy Minister of Health and the Deputy Minister of Internal Affairs from North Macedonia, accompanied by the EMCDDA-IPA6 national correspondent, visited the EMCDDA with the objective of streamlining collaboration, and defining the future goals and activities to be implemented during the final part of the project. This meeting also created the opportunity to debate the role of a National drug observatory and on the reporting of national data at European level. The Academy is organised together with the 1st Faculty of Medicine, Charles University in Prague and the Czech National Monitoring Centre for Drugs and Addiction within the framework of the final conference ‘Universal Prevention Curriculum (UPC) – Adapt’ project funded with the support of the European Commission. The main objective of the Reitox Academy is to engage participants with the (shorter) European version of the Universal Prevention Curriculum (EUPC) as well as to present the International Consortium of Universities for Drug Demand Reduction (ICUDDR) framework which delivers the full UPC. In particular, it is expected that participants can increase their understanding of the EUPC’s potential, thus motivating them to launch the EUPC in their respective countries, in a possible liaison with universities that implement the full UPC within their academic syllabi. The Academy will help participants to make a well-informed decision about future implementations of the EUPC in their countries in 2019 and beyond. All six EMCDDA-IPA6 beneficiary countries will be represented in this academy. The EMCDDA–IPA6 project foresees the appointment of a steering committee at regional level, composed by two representatives from each of the six beneficiary countries (a designated project National Correspondent and a representative from the permanent mission), as well as representatives from DG NEAR and DG HOME of the European Commission. The objective of the Second EMCDDA-IPA6 Steering committee meeting was to guide and support the second year implementation of the project, to liaise among relevant government entities and partners, and to advise both the EMCDDA and the beneficiary countries on matters related to the project, such as the establishment of an Early Warning System (EWS) at national level, the creation of a National Drug Observatory (NDO), and the organisation of capacity building activities. The topics presented at the meeting were related to the first year activity report; the state of play of the budget execution of the project; and the planned activities for 2018–2019. The country representatives also shared their view points on the state of the art of the project and on the expectations at national level. Every year the EMCDDA organises an Extended meeting of the Reitox network bringing together the 30 Heads of the National Focal Points and representatives from the agency’s key partner countries. The 7th Extended Reitox network was dedicated to the topic: Changes in patterns of drug supply and use and their implications for monitoring. As the world and the drug scene are changing, so is technology, bringing new challenges and opportunities for drug monitoring. Having this in mind, the topics of the meeting intended to explore some questions, such as the way the drug situation is changing and how this affects the monitoring systems; how may technology contribute to adding value to monitoring systems; how to improve the data knowledge; how both are affecting each other, etc. The meeting counted with the participation of representatives of all EMCDDA-IPA6 beneficiary countries. This year’s main topic’s included practicalities and findings from recent mortality cohort studies; forensic toxicology; issues with the data from the general mortality registers; how to address possible underestimations of DRD; deaths related to benzodiazepines, to stimulants, responses and harm reduction. The review of most recent DRD data collection and analysis was also highlighted. In the margins of the expert meeting, representatives of the IPA6 beneficiary countries gathered to discuss the objectives of the EMCDDA-IPA6 project and the introduction to ST5 and ST6 when reporting data. 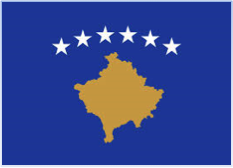 The Kosovar delegation visiting the EMCDDA on 30 October was composed by Deputy Minister of Internal Affairs (who is also the National Drugs Coordinator); the Deputy Minister of Healthcare; the Head of the Secretariat for Strategies and the recently appointed Head of the National Drug Observatory (NDO). During this meeting, the EMCDDA Director shared the Centre's strategic vision at long-term (Strategy 2025), which is based on a balanced approach between health and security related areas. Several topics of interest were mentioned, such as the recently adopted a new National Strategy on Drugs (2018–22), which foresees the setting up of a National Drug Observatory within the Secretariat for Strategies at the Ministry of Internal Affairs; changes in drug-related national legislation; further empowerment of the various drug-related national institutions; working towards better and more integrated national drug monitoring system (including better quality data and statistics); and the future setting-up of an early warning system on new psychoactive substances. The main objective of this year’s meeting was to share experiences with TDI experts about the annual progress in the implementation of TDI and other treatment related issues with a particular focus on the interpretation of data, data quality and new developments. One expert from four EMCDDA-IPA6 beneficiary countries gathered on 4 October to exchange information on the update on the treatment data collection, mentioning cases of success and challenges. Opportunities in further workshops of the meeting to share this with other participants and get suggestion for ex on how to motivate centres to participate or convince professionals in centres to collect data. This year’s annual meeting main topics covered outbreaks, the health sector response to hepatitis B and C among people who inject drugs, and a review of DRID data collection and analysis. A satellite meeting for participants from the EMCDDA-IPA6 beneficiary countries was organised on 25 September and focused on specific problems of the beneficiary countries, such as the lack of kits for HCV testing at national level and the quality of treatment available. All experts showed interest in being associated to the future barometer on DRID. The objective of the EMCDDA-IPA6 Mid-term coordination meeting was to assess the state of progress of the project, as well as plan future activities for and to brainstorm about the IPA 7 project. This coordination meeting dedicated some time to work on some key outputs of the current project such as the information maps, the supply indicators data and on a possible Country Drug Report (CDR). The EMCDDA National correspondents and one additional expert from each of the six IPA beneficiary countries attended this meeting. A Greek expert from the Department of Forensic Medicine and Toxicology of the School of Medicine of the University of Athens is engaged in a series of onsite trainings with the Institute of Forensic Medicine of Tirana with the aim of sharing knowledge and improving laboratory practices. The first study visit was held in July, with two more visits foreseen in 2019 before the end of the project. The EU enlargement plan for the Western Balkans, presented by the European Commission in May, lays out conditions for the accession of Serbia and Montenegro by 2025. In order to analyse the progress made and to further strengthen cooperation with Serbia and Montenegro in the drug information area, the EMCDDA will pay a technical visit to both countries from 12–15 June 2018. During this technical visit, the EMCDDA will meet representatives of institutions and organisations tasked with monitoring and reporting on illicit drugs and new psychoactive substances (NPS). The output of the review mission will be a report summarising the observations, with possible recommendations to further strengthen the national drug monitoring system. The report will also serve as a background document to determine the countries’ progress with regard to the implementation of Chapter 24 of the EU Acquis. The national EWS coordinators from Albania, Bosnia and Herzegovina, Kosovo, North Macedonia, Montenegro and Serbia will attend the EWS meeting along with the EU Member States, Turkey, Norway, as well as the European Medicines Agency and the European Commission. This year, the focus will fall on the implementation of the new regulation on information exchange on, and an early warning system and risk assessment procedure for, new psychoactive substances (Regulation 2017/2101) and on-going activities of the European Early Warning System. A satellite session on the progress with setting-up national EWS in the Enlargement countries will be held in the frameworks of the meeting. For the first time, Bosnia and Herzegovina will conduct a nationally representative General Population Survey (GPS) on prevalence, distribution and patterns of drug use, in line with the EMCDDA GPS standards. As a result of the call for tender launched in the country, IPSOS was the national company selected to conduct the survey. 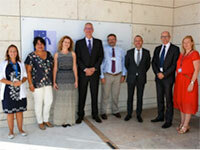 The signature of the contract between the EMCDDA and IPSOS took place in Lisbon on 16 May 2018. The results are expected to be available early 2019. Quality information on changes of prevalence, distribution and patterns of drug use provide a solid basis for understanding and assessing the drugs situation, identifying priorities, and planning and evaluating responses and policies. This year’s experts meeting included discussion on recent trends (e.g. risk perception, perceived availability) based on national surveys and methodological issues on GPS questionnaire validity (e.g. cognitive tests, pilot studies, studies on mode effects). Among the participants were five EMCDDA-IPA6 project beneficiary countries (all except for North Macedonia). Two toxicologists of the Institute of Forensic Medicine, Criminalistics and Medical Deontology of the Medical Faculty of the University ‘Ss Cyril and Methodius’ in Skopje visited the Department of Forensic Medicine and Toxicology of the School of Medicine of the University of Athens. The study visit was covered by IPA6 funds and lasted five days. The programme was practice-oriented and focused on the types of instruments used for different toxicological analysis. It was also dedicated to review of an ISO17025 accreditation process (forensic toxicology laboratory management system). 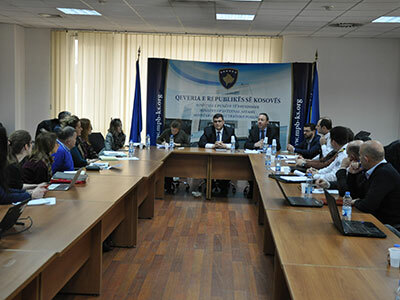 An EMCDDA delegation met representatives of the Ministry of the Interior and Ministry of Health and Social Protection of Albania; the Albanian State Police; and the Institute of Public Health (IPH) to review the status of practical cooperation activities with Albania until the end of the EMCDDA-IPA6 project in June 2019. The purpose of the meeting with the different entities was to review the current situation on the establishment of a National Drug Observatory and a national Early Warning System. Various other topics were raised during the meetings, such as the drugs seizures data collection, the overall role of IPH in drug monitoring, and plans for the implementation of various future drug-related surveys such as ESPAD study in 2019. The main purpose of the EMCDDA delegation visit to Pristina was to overview the achieved activities under the EMCDDA–IPA5 project, to identify and brainstorm on activities to be implemented under the EMCDDA–IPA6 project and to discuss with the national stakeholders the state of play of health, justice and security related EU funded projects in Kosovo*. Therefore, the EMCDDA delegation met with representatives of the EU Delegation Office in Pristina, the Ministry of Internal Affairs (MoIA), the Ministry for European Integration, the Ministry of Health (MoH), the National Centre for Border Management, NGO Labyrinth and a Psychiatric Clinic. This year the meeting will be held in conjunction with the SPICE-profiling conference. The participation of the invited representatives of the IPA beneficiary countries (Albania, Bosnia and Herzegovina, North Macedonia, Kosovo*, Montenegro and Serbia) will focus mainly on sharing experiences about the functioning of the NPS control mechanism in their countries, reporting on the legal status of each NPS controlled at the EU level and on the latest legal developments in the field. As has been the case in the last six years, the current 30 members of the Reitox network (the Heads of the national focal points of the 28 EU Member States, Norway and Turkey) and representatives of the six beneficiary/partner countries of the European Instrument for Pre–Accession Assistance (IPA) will meet again, at the end of November 2017, for the Sixth Extended Reitox Week. This meeting creates a unique opportunity for the participants to share experiences, to be part of a forum for networking and to receive support from the other National Drug Observatories on specific tasks or issues. This year’s joint meeting day will be dedicated to the topic ‘Migration and drug use: challenges and opportunities for the drug monitoring framework’. The joint meeting of 28 November will be preceded on the day before by a special coordination meeting directed to all representatives of the EMCDDA–IPA6 beneficiary countries, to share recent developments in those countries in the field of drugs. The Institute of Clinical Physiology of the National Research Council hosted the ESPAD researchers for the Annual ESPAD Assembly meeting, which took place in Pisa, Italy, in November. This year the meeting focused on the discussion of the ESPAD Constitution revision as well as on the revision of the consolidated version of the 2019 Student Questionnaire. 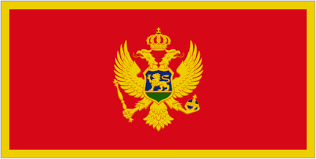 The EC–funded EMCDDA–IPA6 project supported the participation of Montenegro. The EMCDDA welcomed a delegation of Albanian Officials composed of representatives of the Albanian Ministry of the Interior and Ministry of Health and Social Protection and the EMCDDA–IPA6 National correspondent. 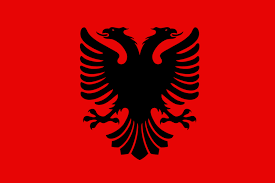 This one–day visit aimed at discussing possible future activities to be implemented in Albania. Among the main topics discussed were the functions and procedures of a National drug observatory, the functioning of the early warning system on new psychoactive substances (NPS), and the results of the general population survey (GPS) and ESPAD survey in Albania. 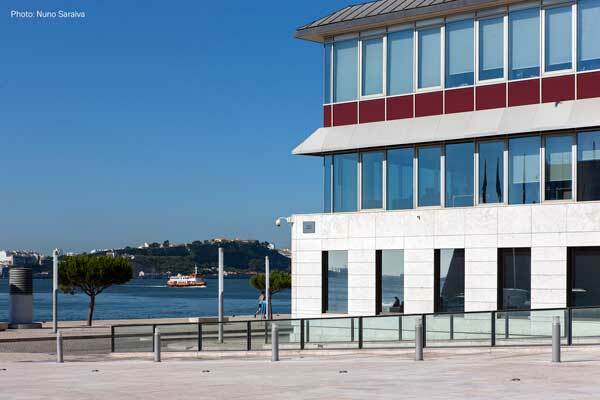 Lisbon Addictions 2017, the second European Conference on Addictive Behaviours and Dependencies, is a multidisciplinary conference that provides a forum for networking across the addictions field. Over 1000 participants from 58 countries attended Lisbon Addictions 2017. One of the Albanian representatives at the conference, Dr Alban Ylli, presented a poster on “First national study on problematic drug users in Albania 2015. Size estimates and patterns of drug abuse”, his participation was covered by the EMCDDA–IPA6 project. The EMCDDA–IPA6 Steering committee gathered for the first meeting of the project in Brussels and counted the presence of four (out of six) national correspondents as well as representatives from all concerned countries’ Permanent Missions to the EU; the European Commission’s Directorate General NEAR and Directorate General HOME; and EMCDDA representatives. The meeting was hosted in the building of DG NEAR. The objective of this consultative body is to guide and support the implementation of the project; to liaise among relevant government entities and partners; and to advise both the EMCDDA and the beneficiary countries on matters related to the project. Among the activities discussed was the establishment of a National Early Warning System (NEWS) in each beneficiary country; the creation or strengthening of a National Drug Observatory (NDO) and the organisation of capacity building activities, notably in the field of specific drugs related data collection processes, in line with the EMCDDA standard protocols. 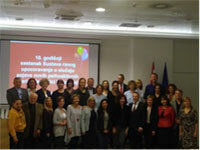 Every year, the Croatian Focal Point organises a national meeting on the National Early Warning Systems (NEWS). This year, the meeting welcomed around 30 participants, among them also representatives from Bosnia and Herzegovina, Serbia and Slovenia. Besides the exchange of information on developments and trends, a part of the discussion of the network was dedicated to guidelines on protecting professionals who might come into contact with fentanyl and its derivatives, with an alert for opioid users and a brochure for parents on NPS. 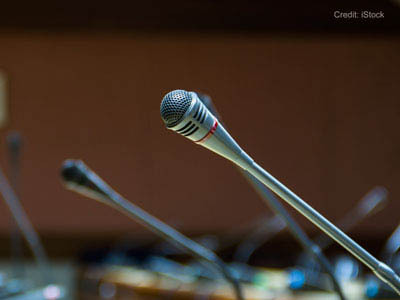 Serbia presented data on treatment of clients with synthetic cannabinoid intoxications, while representatives of Bosnia and Herzegovina shared their challenges in the establishment of an Early Warning System. The participation of the representatives from the Western Balkan countries was funded by the EMCDDA–IPA6 project. 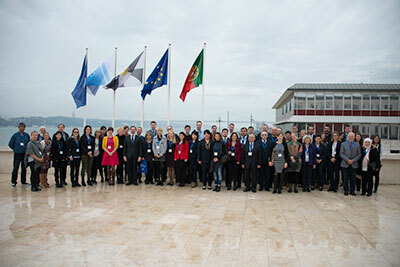 This year, the TDI/Treatment expert meeting was organised back-to-back with the DRD meeting. Experts from Albania, North Macedonia, and Serbia participated in a regional round table and shared an update on the TDI implementation at national level. In Albania there is not as yet a common drug treatment data collection system, though monitoring is carried out in the treatment facilities. 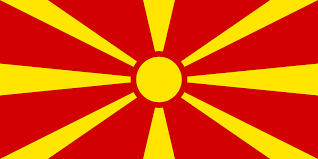 In North Macedonia, there were recent amendments to the law on health records and this might impact the TDI data collection processes at national level. In Serbia, there is a national TDI database and current work aims at strengthening data collection and increasing coverage. 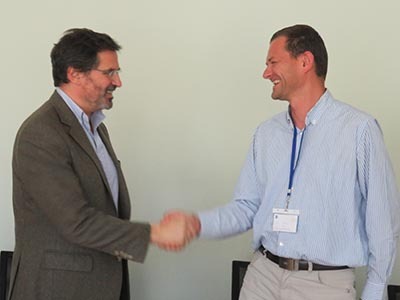 This year, the DRD meeting was organised back-to-back with the TDI/Treatment expert meeting. The joint session focused on ‘Ageing high risk drug users’ and on the ‘Role of treatment registries/centres in mortality cohorts among high risk drug users’. Experts from Albania, Bosnia and Herzegovina, North Macedonia, Montenegro, and Serbia participated in the meeting and in a regional roundtable. The purpose of the round table was to exchange views and information about the current challenges of drug related deaths data collection and data sharing in the countries. The need for training activities for staff of forensic laboratories were also identified and possible future activities discussed. At the end of August, the EMCDDA welcomed two representatives of the Delegation of the European Union to Bosnia and Herzegovina at its premises, to explore new possibilities for further cooperation between the two entities. Among others, the main topics discussed were the results of the drug seizures data collection exercise in Bosnia and Herzegovina, the functioning of the early warning system on new psychoactive substances (NPS), and future plans to implement a General population survey (GPS) in the country.